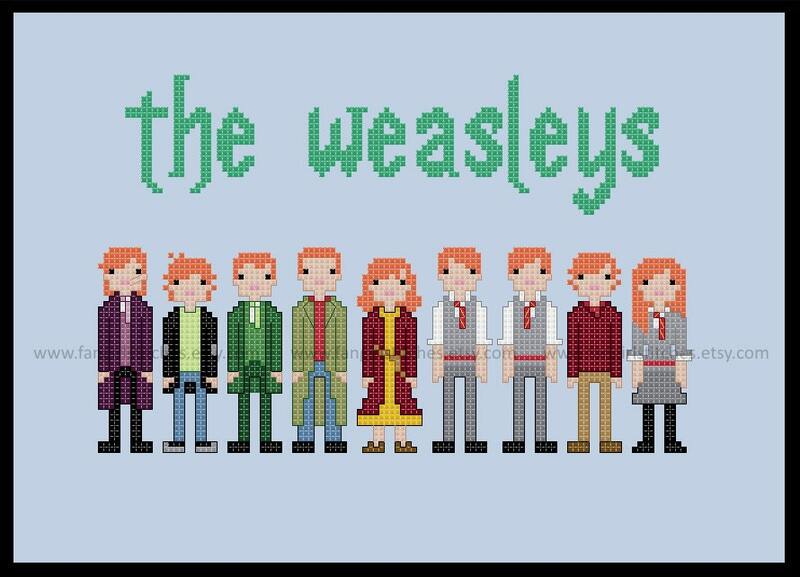 Everyone's favourite wizarding family is now in cross stitch - the whole family, even poor Charlie who never made it into the film. From left to right they are: Bill, Charlie, Percy, Arthur, Molly, Fred, George, Ron and Ginny. 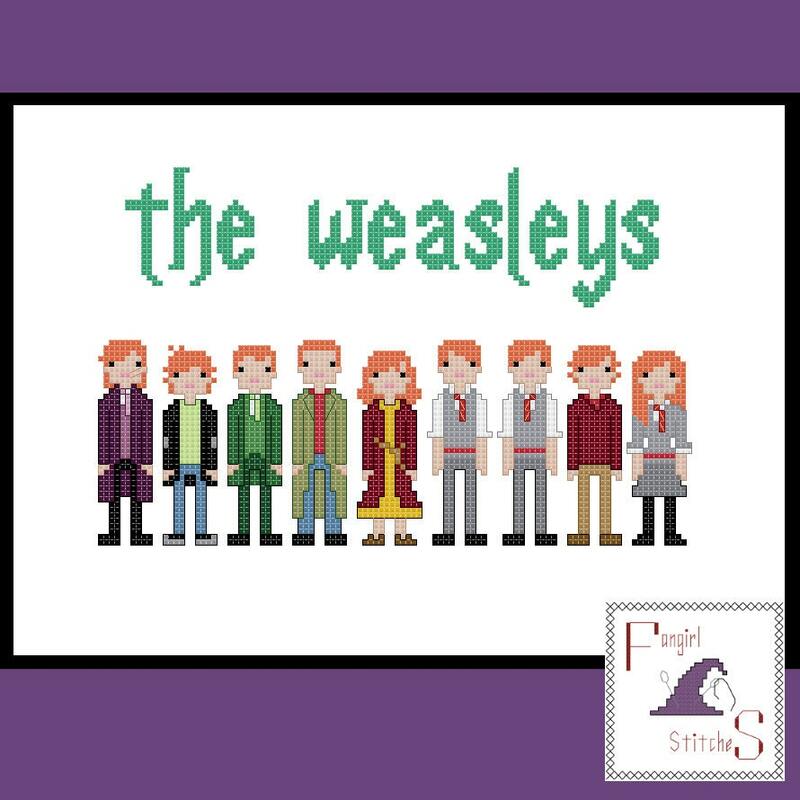 This design features whole stitches and backstitch and is suitable for beginner stitches. The pattern comes with a colour PDF pattern. The floss chart is DMC and Anchor, although of course you can adapt it to suit your preferred brand of threads. I just love the detail in this!